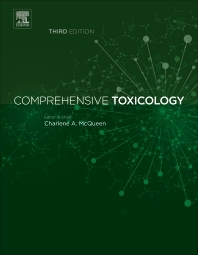 Comprehensive Toxicology, Third Edition, discusses chemical effects on biological systems, with a focus on understanding the mechanisms by which chemicals induce adverse health effects. Organized by organ system, this comprehensive reference work addresses the toxicological effects of chemicals on the immune system, the hematopoietic system, cardiovascular system, respiratory system, hepatic toxicology, renal toxicology, gastrointestinal toxicology, reproductive and endocrine toxicology, neuro and behavioral toxicology, developmental toxicology and carcinogenesis, also including critical sections that cover the general principles of toxicology, cellular and molecular toxicology, biotransformation and toxicology testing and evaluation. Each section is examined in state-of-the-art chapters written by domain experts, providing key information to support the investigations of researchers across the medical, veterinary, food, environment and chemical research industries, and national and international regulatory agencies. Thoroughly revised and expanded to 15 volumes that include the latest advances in research, and uniquely organized by organ system for ease of reference and diagnosis, this new edition is an essential reference for researchers of toxicology. Charlene A. McQueen is a Professor in the Department of Pharmacology and Toxicology, College of Pharmacy, University of Arizona. Until January, 2017, she was a Senior Scientist at the National Health Effects Research Laboratory of the USEPA. She served as the Director of the Integrated Systems Toxicology Division (2011-2016). Prior to that, she held positions at the Harrison School of Pharmacy, Auburn University (2007-2011) and the Department of Pharmacology and Toxicology at the University of Arizona (1990-2007). Dr. McQueen received a M.S. in Pharmacology from New York University and Ph.D. in Human Genetics from the University of Michigan. Her work is in the areas of pharmacogenomics, toxicogenomics and chemical carcinogenesis. She has a particular interest in the genetic basis for response to xenobiotics. Her work with the arylamine N-acetyltransferase polymorphism has demonstrated that this genetic variation can affect drug efficacy as well as toxicity of aromatic amines and hydrazines. She was the Editor-in-Chief of the second edition of Comprehensive Toxicology and is continuing in that position for the third edition to be published in 2017. Dr. McQueen is an American Association for the Advancement of Science (AAAS) Fellow and a Fellow in the Academy of Toxicological Sciences (ATS). Dr. McQueen received the Society of Toxicology (SOT) Public Communications Award, the SOT AstraZeneca Traveling Lectureship Award and has served on numerous SOT committees. Dr. McQueen was on the Environmental Health Sciences Committee of the National Institute of Environmental Health Sciences, the Board of Scientific Councilors of the National Toxicology Program and the National Institutes of Health Cancer Etiology Study Section. She is a member of the Editorial Board of the Reference Modules in Biomedical Sciences (Elsevier). Dr. McQueen is a member of the Health and Environmental Sciences Institute (HESI) Board of Trustees, serving as the Board Secretary (2012-2017) and is currently Vice-president elect (2017-2018). Her current research interests include the discovery and development of Adverse Outcome Pathways (AOPs) for fatty liver disease and carcinogenesis as well as the role of the microbiome in xenobiotic biotransformation.